If you have lost a tooth, you are likely considering a dental bridge. One of the most common questions patients ask at our Sunbury and Moonee Ponds practices is about longevity. How long will it last? That depends largely on how you care for the teeth supporting your bridge. What causes a bridge to fail? The most likely problem is not with the bridge itself, but with the teeth that support the bridge. If they are injured, broken, or decayed, they cannot support the bridge and it will fail. There are two ways to avoid this problem. The first is to choose an implant restoration rather than a traditional bridge. As an implant is independently supported, it does not put any extra burden on your remaining teeth, nor is it dependent on them for support. 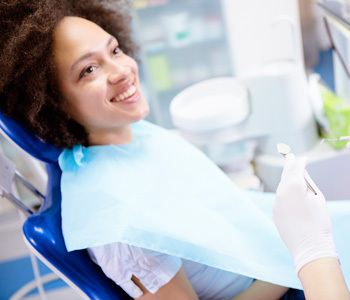 The other option is to be diligent in at home care and dental care for your abutment teeth. You already know how to brush and floss your teeth, but it takes a few extra steps to clean properly around a dental bridge. That is because the false tooth sits against the gum line. There is not a visible gap, but there is still room for bacteria and food particles to accumulate. Because bridges tend to trap plaque, regular professional teeth cleaning is essential.